“Did I want to go back? Back to a city without glens, without places to sit in public with my arms around his neck, without the luxury of wandering among indistinguishable trees unmindful of the repercussions of getting lost. Back to a city that was feasting on its own blood, the violence so crazy now that all the previous violence felt like mere pinpricks. Back to a city where I’d have to face my father. Why would I want to back to any of that? Prior to last week I had never read a novel set in Karachi before. Last week however that changed during a visit to the Mayfair Library in Joburg when I found “Kartography” by Kamila Shamsie on the shelf. It’s an old book (it was published in 2002) but I’ve never read Kamila Shamsie before, and the book’s description as a “love song to Karachi” intrigued me. It delivered on its promise to be a good read. Kartography is a book that takes you by surprise with its beauty, humour and grace, and whether or not you are familiar with Karachi, it is a book that is definitely worth reading. The book is about two friends named Raheen and Karim who grow up together in Karachi, and whose parents make up an inseparable quartet. Karim and Raheen have been inseparable from childhood and have their own special language and jokes (a lot of their jokes revolve around anagrams). They are more than best friends; an incredible connection exists between the two of them. Once upon a time, Karim and Raheen’s parents were engaged to one another. Karim’s mum Maheen and Raheen’s dad Zafar are the first couple to separate and their engagement breaks after the civil war in Pakistan. That war resulted in the creation of Bangladesh, and before the war, during the war and after the war, Bengali people in Pakistan experienced severe discrimination and prejudice. Maheen is Bengali and experiences prejudice as well, and when they are engaged Zafar is ostracized because of their engagement. What happens to end their engagement is unclear, but at the beginning of the book, during a summer holiday with Karim away from Karachi, Raheen starts asking questions about why the pairings of their parents’ marriages ended up the way that they did. She stops asking questions when she overhears her parents arguing about the best time to tell her the truth about the past, and she decides to let the secrets of their parents remain unknown. Soon after their holidays, Karim moves to London with his parents and Karim and Raheen only see each other several years later when they are twenty-one. When they meet again, four years have passed since they have last spoken or written to each other because of a fight that takes place four years previously that severs their friendship. This book is about their friendship, their relationship with each other, their relationship with their parents, their relationship with Karachi and how and why the history of Pakistan and the history of their families impacts today. There is so much to say about this remarkable read. Here are some of the things that struck me about the book. 1. There are similarities between Joburg and Karachi. This book talks about how Karachi is not a city where people walk, it is a city of high walls and a city in which many people isolate themselves (or try to) and lead an insular life. This book talks also about some of the factors that make Karachi is a highly polarized and unequal city. That is true for Joburg as well, and so much of what Kamila Shamsie describes and discusses in this book, down to the conversations characters have about whether it is better to leave or stay in the city, are conversations that ring true for Joburg as well. 2. The writing in this book is magnificent. 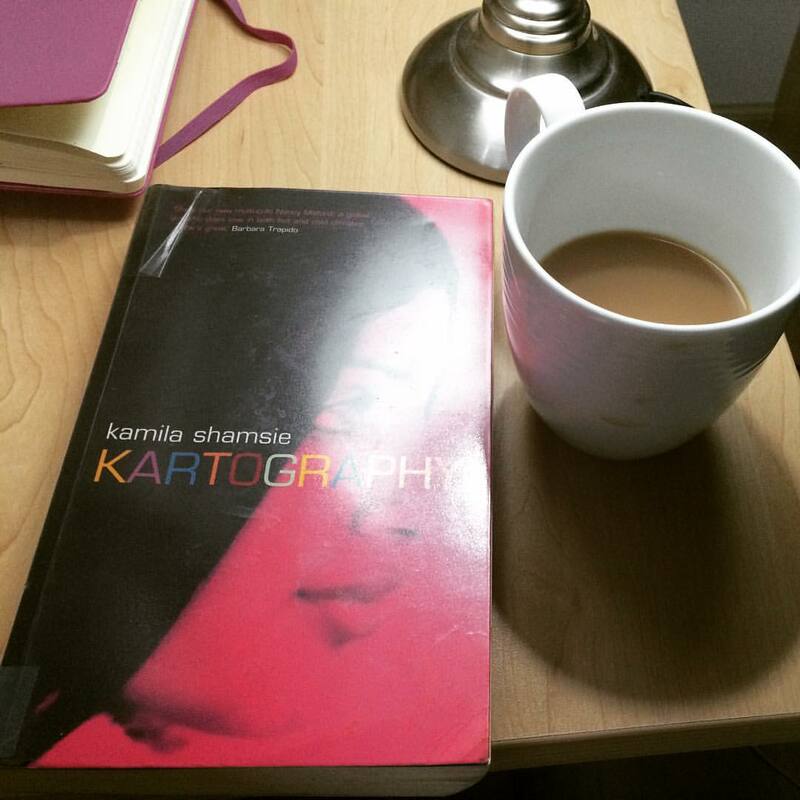 You can see Karachi through the word-pictures Kamila Shamsie creates through her writing. Through her descriptions of small shops, the activity on the street, the way invitations for wedding invitations crowd out the available space on hall mirrors and mantelpieces, Karachi becomes a more familiar and alive city to you as you read. This book is not a comedy, but Kamila Shamsie’s writing is sharp and witty and I found myself laughing out loud repeatedly throughout this read. To have such moments of lightness throughout such a serious read was a wonderful gift. In particular, I appreciated that Kamila Shamsie creates a very nuanced impression of Karachi through her writing because she manages to captures the fear and danger of Karachi without resorting to stereotypes. In one part of the book, while the main characters are out in the evening, their car is sprayed with bullets that nearly hit them, but in another part of the book their car stalls in an unfamiliar area and a car thief helps them back on their way because he says it would be wrong to harm them when there is a girl in the car. Karachiites are also not depicted as particularly religious or non-religious people in this book. The majority of the characters in this book are not particularly connected to their Islamic identity. They drink, they do not pray, they find rules of gender interaction restrictive, they are vocally against the hijab. One of the main characters however is named Sonia, and she is connected to her faith, something that Raheen finds bewildering and strange. Raheen is aware that Sonia is more accepting of her beliefs and lifestyle than she is of Sonia’s beliefs, but Raheen can’t help herself from making fun of and questioning her friend’s religiosity. Still, despite their differences, their friendship endures. Any reader who comes to this book hoping to be able to pin down Karachi will leave this book disappointed because Shamsie’s storytelling doesn’t allow you to jump to lazy stereotypes and conclusions about what Karachi is and who Karachiites are. 3. This book made my heart ache. I don’t know Karachi well and haven’t been in the city for almost twenty years, but there is a thin layer of Pakistani culture in my life. I’m most comfortable nowadays in salwar kameezes, I feel an inexplicable rush of emotions when I hear Urdu (particularly in Joburg when its not common at all to hear the language), when I’m homesick watching a good Pakistani tele-serial helps alleviate my feelings, and I get defensive when I hear racist, lazy stereotypes about Pakistan. It is a city where a part of my identity originates, but I’ve never really understood Karachi or what it is that binds Karachiites so closely to their city. This book lifted a curtain on Karachi and by revealing some of the social, ethnic and class divisions that fracture the city and the deeply rooted love of Karachi that is evident anytime you meet someone from the city, it helped me to understand the city better. This is why we need libraries and publishers stocking and publishing diverse stories set in diverse locales (and not just doing this for “oppression’ or war stories) and writers from diverse backgrounds being encouraged to write non-European and North American stories. Homogenous storytelling impoverishes our lives. Ultimately, this book is worth reading because it is a passionate, thoughtful, intelligent nuanced, funny human story about how lives and destinies are shaped by single actions and we cannot escape the consequences of what we do. The less willing we are to reconcile with our past, the harder it is to build for the future. The book is called Kartography because throughout the book, Karim is fascinated/obsessed with maps, and he explains this interest by saying that despite the divisions that separate the city, maps show Karachi as a connected whole in which all fates are connected. And according to Raheen, everything connected to Karachi is named with a K, and so this book continues that tradition. Have you read this book or other books by Kamila Shamsie? I’d love to hear your thoughts.